Repetitive damnation and fear is the theme. This faithful rendering of the New King James Version presents the Bible in more than 90 hours of compelling, dramatic audio theater format. This world-class audio production immerses listeners in the dramatic reality of the Scriptures as never before, with an original music score by composer Stefano Mainetti (Abba Pater), feature-film quality sound effects, and compelling narration by Michael York and the work of over 500 actors. This title is broken into 17 parts and the following are included in each part. ©1982 Thomas Nelson, Inc. (P)2009 Thomas Nelson, Inc. It's really hard to write a review about the bible, because...well...it's the bible! But what I can say is that I can't recommend The Word of Promise highly enough. The sound effects used throughout the readings really helped to add to the entertainment aspect of the books. But what I was most impressed with, and surprised by, was the way the actors expressed their characters. They brought things to life to the extent that I actually understood things better than I ever have before. 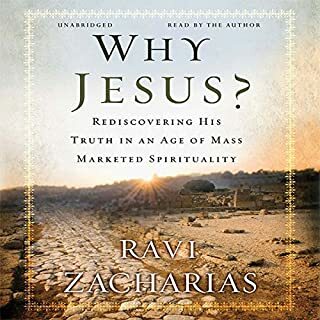 I think it's because the bible doesn't say things like: "Jesus was furious and said", and because of that I often find my own reading of the bible to be flat and have to really concentrate really hard to figure things out sometimes. But the performance of the actors revealed things to me that blew my mind. There was one part, I can't remember which book (which is my only problem with the audio version, was that it was virtually impossible to navigate because it's so huge!!) where God was really, really furious with the Israelites and honestly, I was a bit afraid, especially because I'm a believer. I mean, when I'd read that part in the bible myself, I knew God was mad, but I didn't realise 'how' mad He was until listening to this. It was a far different experience to listening to a fiction novel being read, it's really hard to explain. And look, to be truthful, in my opinion there will never be another actor who can play Jesus as well as Jim Calviezel. I mean, I see Jim Calviezel and I feel like I'm looking at Jesus, so to hear him speaking, this time in English and not Aramaic (although I loved hearing Aramaic in the Passion).... Well, it was just amazing. I think I even started crying. Last but not least was the sheer value of the book! 17 audio books for 1 credit. I think it took me three months to listen to it all. So yeah, if you are a believer (and if you aren't I still hope you get this book and become one!) get this book with your next credit. You won't regret it. Every actor was amazing and the Psalms! Oh and the actor who played God! OH my, yeah, just get it! You won't regret it. 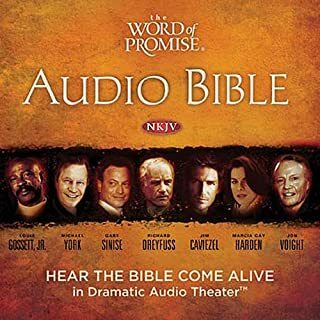 Would you consider the audio edition of The Word of Promise Complete Audio Bible: NKJV to be better than the print version? Yes, because it is easy to listen to the chapters you might other wise find hard to read and comprehend due to context it is written in. 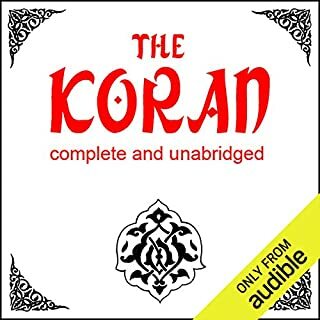 It is really hard to look up a specific chapter or book to listen to, because of the fact that many chapters and books are contained within one part of the the audio. Some proper scriptural index or order might make it more valuable. such great voices, so HORRIBLE to navigate! Great to listen to while going to sleep. start again to listen to it. The over acting and ridiculous voices put on by these actors made it very difficult to listen to. It seemed like a good idea however was not of any use to me. Just annoying. I will try another version. Would you listen to The Word of Promise Complete Audio Bible: NKJV again? Why? This is a wonderful recording. I like the performances and the variety of voices. For example, while there is one main narrator for each book there are diff voices for dialogue and the actors for those people are consistent. The voices are well cast and performed. The music in the background rarely bothered me, but is too loud or exciting in a few spots. I find listening to the word to be a good way to 'hear' it in a new way and is a valuable experience. I also love to play it for my children:) The one main problem is the lack of a guide to the 'sections'. I found a guide to 'parts' but my players show sections. This make it impossible to select which book to listen to! I made a guide, figuring out there there is one section for each chapter starting with 2. So if you need a particular chapter, simply add that number to the book's start. The performances are outstanding. It's a great value at 1 credit. To make it more useful for study or listening publicly, here is a breakdown of the chapters that works with the Audible app. First, the good: This is a terrific bargain for a single credit. For readability, I have most recently relied either upon the NIV or New Living Translations, but I was pleased with the NKJV translation. It is accurate and easily understandable; this translation was suited perfectly for an Audio book. The readers were outstanding, and there was just enough dramatization, music and background effects to keep the stories moving without being annoying or overly-distracting. The sound quality was flawless. Now, the bad: As other reviewers have detailed, dividing the Bible into 17 tracks is puzzling. Finding any particular passage is laborious and frustrating. 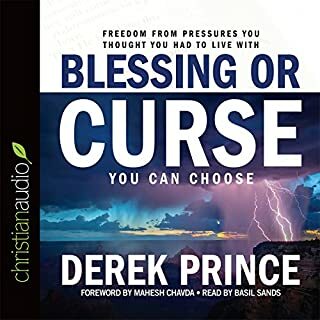 If you are seeking an Audio presentation of the Bible to listen to and experience a cover-to-cover read, you will find this production very much to your liking. 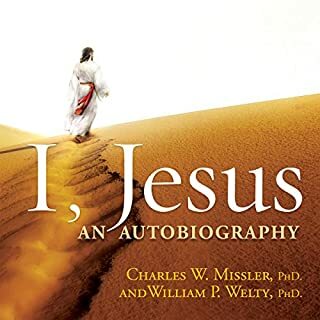 If, on the other hand, you are looking for an Audio Bible to add to your library to listen to various individual scriptures, this format is not well suited for such an endeavor; other audio renditions may be more navigable for such a purpose. I listen to this on my way to work every day, and I just completed it a couple of weeks ago. The advertisement on the cover really says it all, "Hear the Bible come alive in dramatic audio theater." Mind you, I have, in the past, listened to numerous audio Bibles that left me annoyed due to the overwhelming music in the background. At times, it was almost as if whoever came up with the score for those audio Bibles wanted to make the listening experience as annoying as possible with awful music that did nothing but distract from the Word. This is not true for the Word of Promise. There is music in the background, but it is very calming, and I never found it distracting. 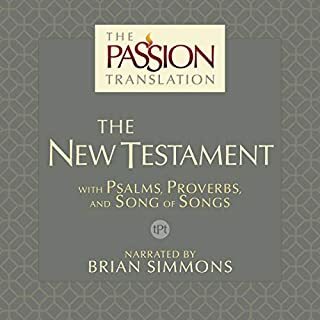 What really sets this audio Bible apart from the others is the exceptional quality of the background sounds - not just the music, but the sounds. When people are walking, you hear the footsteps. When they are crying, you hear the sobs. When the tabernacle is being constructed, you hear the construction. When Paul is writing, you hear his pen on the paper. When someone is killed, it is almost too realistic. This is all beautifully edited and mastered to very high quality standards until you feel that you are there, in the Bible, with the characters. As to the all-star cast, you can almost see Moses crying as he delivers his final sermon knowing that he will never be able to enter the promised land. Richard Dryfuss delivers the voice of Moses with such an exceptional perfomance that you will be crying when you get to that point. Everyone in the cast did an exceptional job at delivering the content with conviction and gravitas. The only thing, in my opinion, that would have made this work better would have been for the version to have been the Old King James rather than the New King James. That said, I really enjoyed listening to the Bible in a way that I never have before because of this audio recording. Bravo! to the entire cast and to everyone who contributed to it. 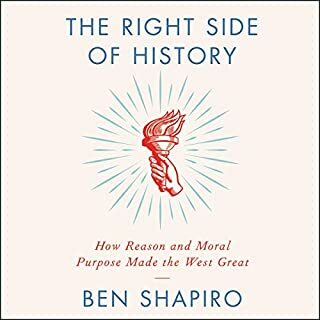 I am already listening to it, again, and I believe that this is going to be an audiobook that I will enjoy listening to for the rest of my life. Amazing Narration! Impossible to Navigate! This version of the Bible is the best audio version I have ever heard hands down. This one is treated, almost, like a normal book, but with small (tasteful) sound effects and music. 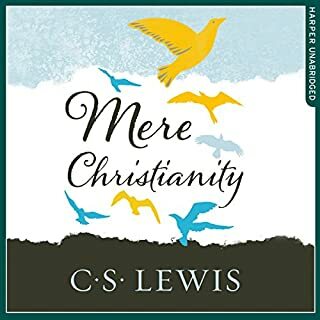 Other versions I have heard either have a terrible narrator or the sound effects and music is so triumphal and overdone it drowns out the Bible it self. Michael York does a fantastic job as the primary narrator. The only gripe is that it is hard to navigate. The books not separated, some seem to be split down the middle and then other books are bundled together. The math says it all about this 66 books only 17 parts. 66 books 66 parts would be easier for a book like the Bible. A normal book split in to chapters would be ridiculous, but Bible readers want to hear a certain book not have to go hunting. 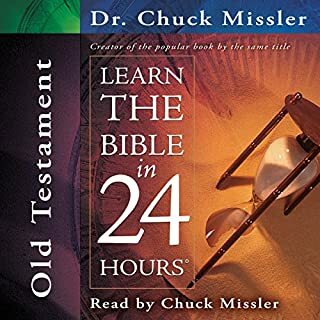 Again, just fantastic the first useable audio version of the Bible I have ever used. Majestic!! I have for many years wanted to go through the scriptures but due to limited eyesight I had all but given up!! Michael York's reading is beyond anything I expected. The music in the background makes it so much more powerful! I listen to it as I go to sleep at night! Pour yourself a cup of tea, sit back in a comfortable chair and prepare to be transported to another place and another time. What a value for one credit!! I am a believer in audible.com! Thank you!! Amazing production word-for-word and get Enhanced! Without a doubt, get over any bias you have with your favorite bible translation, and get this! Download the enhanced format (64kbps/22kHz) stereo production and use a good set of earphones/earbuds and hold on! This brings to life what it was like to be there when each book was written. No additional wording, no additional explanations, just word-for-word NKJV bible! I am through to 2nd Samuel and can't wait to turn it on again and continue reading. Use this in the off times when you can't read the Book, like in the car, around the house, at lunch time. You will enjoy this. Keep on reading! 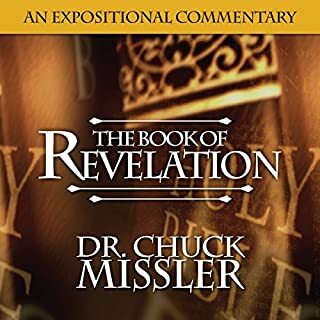 I absolutely love this audio bible! 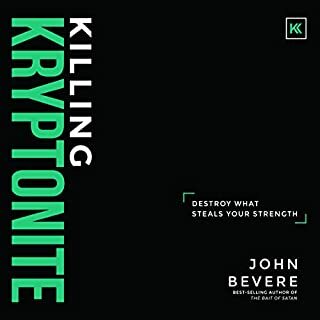 I've read the bible through a few times but listening to this audio book makes the bible more alive to me. 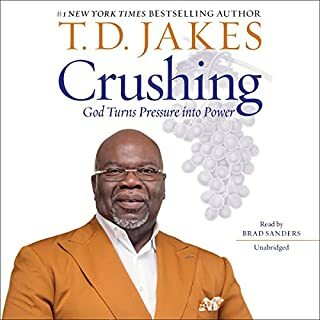 Its sad to admit but sometimes when I read my bible I feel sleepy but when I listen to this audiobook keeps me interested. The narrators and background sounds are wonderful. I put this on my ipod and start cleaning my house or do my yard work and I feel closer to God. This is definitely worth a credit to me! I've always considered dramatized versions of Scripture cheesy and unworthy of The Word despite the good intentions. But this production throws that all out the window. Genesis 1-4 held me, my wife, and 9 year old son spell bound. My son wanted to go all night. This is one fantastic production. The sound effects, Michael York's narration, the music...all of it combined make a fantastic impact on the movie in your mind. This is a must have. I did notice that not every word was narrated, but any time that happened it was pretty irrelevant. It was stuff like "and the Lord said to..."; it wasn't needed because you know God was speaking to Eve. 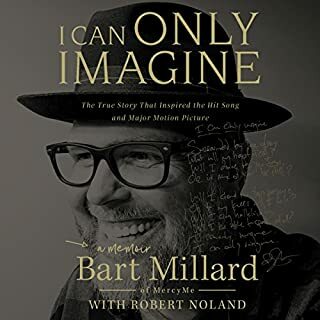 It's a nitpick that really doesn't take away from the production, but is worth noting if your looking to hear every single solitary NKJV word. Have a listen to the sample. If it peaks your interest and you think you may enjoy listening to it, go with that instinct. You WILL NO be disappointed. I love having having the background sounds added to the narration. It adds another layer of depth to the already deep text of Scripture. I wouldn't use it to supplement my study, but it's wonderful to just sit and listen to. The only actor I really don't care for is Jim Caviezel as Jesus. I have certainly enjoyed Mr. Caviezel's performances in movies, however there are times when I think he makes Jesus sound weak, almost frail when he should sound authoritative, for example in the book of Revelation. In some other portions of Scripture Jesus' speech would naturally sound quiet and even comforting at times. But He is still the Alpha and the Omega, the Son of God Almighty, to whom all power is given in heaven and earth. At the times when He is demonstrating those attributes Mr. Caviezel falls short, in my opinion. 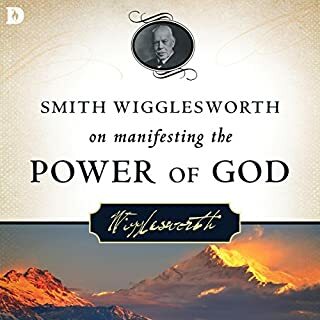 Overall, this performance of God's Word is excellent and I highly recommend it. If you want to sit down and just listen, this is great - it's a well dramatised reading of the Bible, and can be quite engaging. If you are wanting to listen to something specific then this is an absolute disaster unfortunately. 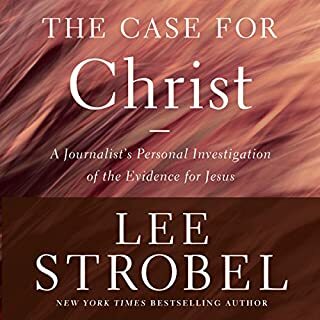 The thing that Audible has not managed to get it's head around is that the Bible is not a book that is read from start to finish linearly. It is a book where specific parts are often read and studied. With a paper bible, it's easy to look up a particular verse or book and read it. With the audio book it is nigh on impossible. There are 17 parts, and each part has many many chapters, but they are not broken down in any way shape or form in the same way as the bible did. Also there is no announcement of which section of a book is being read. You get an announcement at the start of each book 'The book of Mark' for example, but then it is read straight through. So if you want to listen to a particular book of the bible, good luck - you may find it. If you want to listen to a particular verse or section of a book, give up now. Audible - please please can you do something to name the chapters so at least we can see where we are in the reading? I loved the download version so much I went out and bought the CD's just to make sure I have hard copies as well as the MP3. The dramatised versions brings the Bible alive and makes its very exciting. I bought “The Word of Promise” as I thought it would be good to listen to in the car as I drive back and forth to work. Sadly I have found it a little difficult to move around to different parts \ books of the Bible. I felt it missed out big chunks … like when Moses was born and put into the Nile …. There is no mention of this. I wanted to hear that as we are doing a study on it and it would have been good to have heard it a few times before the study, but it just did not seem to be included. It did mean that I tried to go back and see if I missed it, which is why I say its not easy to move around like you could with a Bible in your hands. I liked the sound effects and want to listen to more of it. An Amazing Achievement in the audio portrayal of the Bible. This presentation features fantastic voice acting by the various actors in this masterpiece. The music and the background audio in the audio book are also excellent in my opinion. 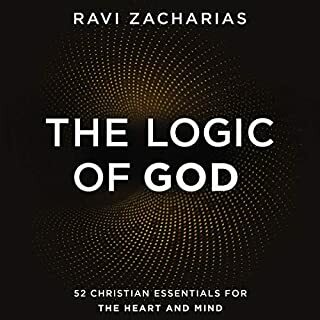 The Audio Book manages to create an atmosphere which contributes to the overall wonderful feeling of listening to this work of art. 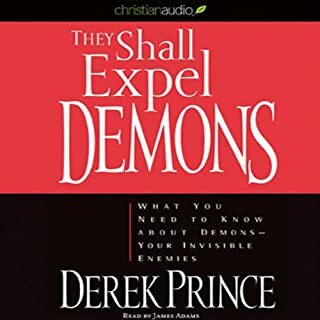 This is in my opinion one of the best Audio Bibles ever made. For the money, and for the benefit, nothing can beat this superb rendition. Brits nervous of the sound of American voices are soothed by Michael York's melifluous tones as the Narrator, and Malcolm McDowell as God the Father - reassuring once again that God is an Englishman ;-). It is also a joy to hear familiar American stars with their rich and varied timbres. Readers jaded or defeated by the printed page have the words of life reinvigorated. Long-held goals to read end-to-end can now be achieved and a full perspective on the span and comprehensiveness of scripture is gained. I agree that the addition of a referenced search facility would be wonderful, but the characterisations and humanity of the voices more than compensate for this. God's Word was mediated by human vessels and this feature of the Bible - its particular authenticity - is drawn out for those who have ears to hear. The bible turned into a captivating drama production complete with everything as if sitting in a great movie. Great sound effects naturally stimulate your equally greater imagination projecting movie quality pictures onto the screen of your mind as when listening to a great radio production. 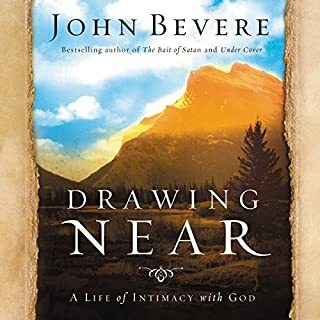 In all, inspiring, entertaining, greatly recommended and a wholesome uplifting experience bringing the whole bible alive and listened to anywhere as when otherwise impossible to read if driving, walking, working etc. Close your eyes,relax and listen to the deep wisdom of this book in superb audio quality. i have put this on my kindle and it's amazing! well done audible. Superb rendition. Great balance of dramatic interpretation without compromising the purity of the text.